Hip arthroscopy is a minimally-invasive surgical procedure that allows an orthopedic surgeon to examine and a patient’s hip using a small camera attached to an instrument called an arthroscope. It can be a great solution to many hip conditions and problems that plague the hip joints. Although arthroscopic hip surgery is a growing area of orthopedic surgery, many doctors possess only a limited familiarity with the surgery or the conditions it treats. As a regional pioneer of hip arthroscopy in Atlanta, Dr. Hyman, teaches physical therapists and surgeons locally, nationally and internationally. Dr. Hyman is one of the only orthopedic surgeons in the southeastern United States with expertise in advanced hip arthroscopy. Dr. Hyman co-founded the Hip Arthroscopy Center at Emory Adventist Hospital and established the Atlanta Center for Hip Preservation, an entity dedicated to providing the community with access to state-of-the-art hip arthroscopy techniques. Dr. Hyman first performed hip arthroscopy in the late 1990’s. He has the unique distinction of having trained with multiple pioneers in the field: Dr. Marc Philippon, Dr. Thomas Byrd and Dr. Bryan Kelly. He was also educated at the #1 institutions in the country: Harvard Medical School and the Hospital for Special Surgery. Dr. Hyman is a member of the International Society of Hip Arthroscopy. He makes it a priority to keep up-to-date on the latest advances in hip arthroscopy and improved patient outcomes. While serving as the Medical Director for the Hip Arthroscopy Center of Excellence, he pioneered several research initiatives and developed expertise in re-doing hip arthroscopic surgeries done elsewhere. 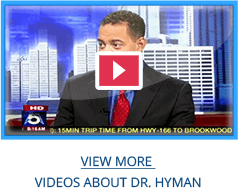 Why choose Dr. Hyman? There are a lot of unique attributes mentioned below that answer that question, but the main reason is that our patients are happy with their results and their care experience. …it’s where the doctors and therapists come for hip care. Dr. Hyman began doing hip arthroscopy in the 1990s before the procedure became more mainstream. 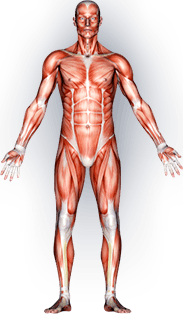 He has worked on professional athletes and patients from around the world. He is the only orthopaedic surgeon to have worked for the NFL Atlanta Falcons, NHL Atlanta Thrashers and NBA Atlanta Hawks. Dr. Hyman not only performs hip arthroscopy, but also teaches other orthopaedic surgeons how to perform basic arthroscopy. He’s had visiting surgeons from around the world come observe him in the Operating Room. He has given instructional lectures at Grand Rounds to Emory Dept. of Orthopaedics and lectured nationally on the topic. He regularly attends or teaches at Hip Arthroscopy meetings and maintains knowledge on the cutting-edge of this technology. We will see you through the whole process. Our hip arthroscopy physical therapists are perhaps the most experienced in Atlanta, and teach our rehab to other therapists. Dr. Hyman has helped establish the rehab protocols for recovery after hip arthroscopy and by lecturing and teaching physical therapists around the country, has disseminated the rehab strategy nationally. As the first Georgia member of the prestigious International Society of Hip Arthroscopy (ISHA), Dr. Hyman collaborates with hip arthroscopists from around the world on problems just like yours. He has presented at ISHA meetings and taught in other countries. This exposure enables him to keep current with the cutting edge in Hip Arthroscopy from around the world. 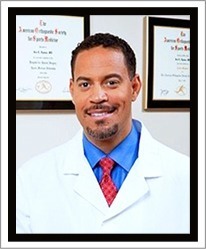 Dr. Hyman was trained at Harvard Medical School (Boston, MA) and the Hospital for Special Surgery (New York City, NY). These are considered the two best training orthopaedic institutions in our nation. Dr. Hyman has published scientific research on hip arthroscopy in peer-reviewed surgical journals. The Hip Arthroscopy Center in Atlanta is the first of its kind in the South-eastern USA and critically evaluates many aspects of the patient's experience with hip arthroscopy. This was the first Center of Excellence in Georgia. Dr. Hyman was the Medical Director and founder of the Hip Arthroscopy center at Emory Adventist Hospital. Patients travelled from all over USA and abroad to get care there before he relocated his practice to the Advanced Orthopedic Surgery Center. Dr. Hyman is a nice down-to-earth guy. Our whole staff is pleasant and very experienced with hip problems like yours. See our testimonials. Dr. Hyman has utilized new technologies to advance the science of hip arthroscopy and has been featured in the news for it. See the Fox 5 News Health report. He works with orthopaedic device companies to teach other surgeons how to perform hip arthroscopy and instructs on products use / design.